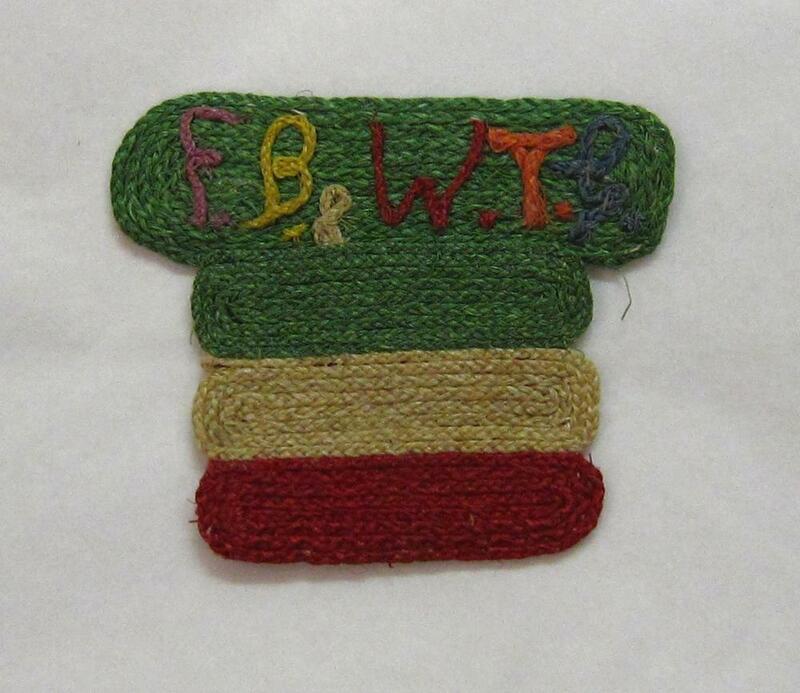 Bookmark made from dyed string with the letters F.B. & W.T.G. With hand written note 'Made in Liebenau Women's Internment Camp - Second World War).